PlayStation 3 shooter Resistance 3 will support Sony's PlayStation Move motion controller and the Sharpshooter gun controller, Insomniac Games announced today at its Hollywood community event. It also confirmed stereoscopic 3D support, following in the footsteps of the recently released Killzone 3. Those Resistance fans were also treated to an all-new demo of this year's Resistance 3, played in real-time by Insomniac staffers. The level, set in the flooded town of Wrightsburg, Missouri, takes place after the player leaves the previously shown level of Haven. Here's our account of that demo. The Wrightsburg level starts quietly, with Resistance 3 protagonist Joseph Capelli and an older companion walking through a valley, heading toward a dock and boarding a boat. "You're doing the right thing, Joseph," his companion says. "Shut up and drive," Capelli spits back. We're riding in a boat through a foggy river. This river is actually a completely flooded town, as we move through what appears to be a high school football stadium. The Wranglers team name is painted on scoreboards and signage. We follow the river parallel to a destroyed roadway, heading toward a mill. Capelli destroys Chimeran mines along the way. The carcass of a Chimeran Kraken, teeming with tiny Leapers, drapes across a bridge. Capelli antagonizes the Leapers and they swarm the boat. He quickly clears the boat of its infestation. He's given a Rossmore shotgun by his ally, a gun modified with long range concussion grenades. A massive Goliath, the giant four-legged war machine, appears in the distant fog, so Capelli and his companion alter their route, toward a bridge. Chimeran power conduits wrap around the bridge, swaying like tentacles and emanating a soft blue glow. Ice forms on the conduits, blocking the boat's path. Capelli shotguns his way through the ice. The pair reach a boathouse, which is adorned with Christmas decorations—candy canes made from tinsel—and crawling with Grims, dozens of the scarred, zombie-like beasts lob projectiles and crawl toward the boat. Capelli easily dispatches them with incendiary shotgun blasts and exploding magnum rounds. The crowd delights in Grim torsos exploding and bouncing off the sides of their boat. The boat picks up speed, heading toward a diner, as explosive organic Chimeran mines help to deal with a new round of Grims. The boat crashes into a patch of ice, giving the Grims a stalled target to attack. Capelli switches to the Auger and with its heat-detecting scope, we see just how many Grims are swarming toward the craft. Too many, it seems. The boat pushes through the ice and the tension calms. It's slow moving until the two encounter a squadron of Shock Drones, flying machines that shoot bolts of electricity at the boat and Capelli. On "casual" difficulty, they don't appear to be much of a threat, but the drones knock out the engine with their electric attacks. The boat's engine comes back to life and they move forward, joining the waters of the Mississippi River in St. Louis. "We'll stop there and look for supplies," Capelli's companion says. We see the Goliath again, lumbering through the Mississippi with thunderous footsteps. Water sprays from its steps. It crushes a bridge under its feet. Capelli's boat rests beneath a similar bridge, hoping to remain undetected, but that bridge begins to suffer the same fate. Shock Drones attack. The Goliath notices. Capelli makes his escape, hoping to avoid destruction at the feet of the Goliath. A team of leaping Longlegs spots them. Things are really getting hairy now. More ice. More Longlegs leap from island to rooftop to the deck of the boat—which is now visibly damaged from this series of Chimeran encounters. Again, the Shock Drones. Capelli refills his ammo from his reserves on the ship, taking down what seems to be a never-ending stream of Longlegs. Finally, they're free from the attack. But then, another Goliath appears. The another. Capelli's boat is caught in the middle and goes down. The camera follows the capsizing boat and Capelli underwater and… we fade to black. Compared to the kinetic but dusty and dreary levels of Haven, Wrightsburg is quiet, calm and creepily atmospheric. It's a nice, slowly building contrast to the noisy Haven, which is filled with whipping winds and dust storms. 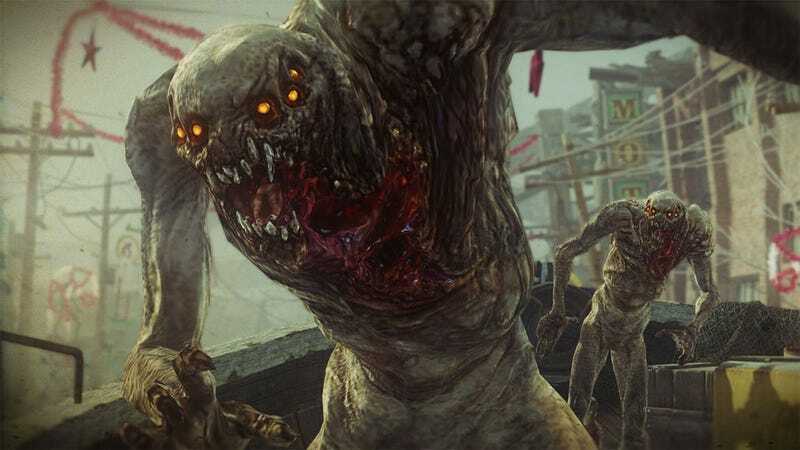 Resistance 3 is slated to hit the PlayStation 3 on September 6, 2011.